We live in the world of complexity, multiplicity, and uncertainty. As the humanity, we are fed by conflicting ideas on religion, politics, racism and gender roles that ultimately set us apart. But despite disputes you might end up having with a neigbour, we all come to an unspoken agreement when it comes to the appreciation of the beauty and importance of the Mother Nature. It’s our home. It’s our greatest teacher. It’s our patient healer. Nature looks after us; provides the space to contemplate and seek for the truth that is hidden within ourselves. How do we pay back for its abundance and wisdom? Despite an increasing “living sustainably” trend, it still feels that we tend to take things for granted when it comes to natural resources. We might step out of the comfort zone to explore the outer space, but not to reconsider our lifestyle towards cutting down the consumption and carbon dioxide emissions. As humans, we are quite far behind from the mental shift that needs to happen. While we are taking it slow, the state of the environment deteriorates rapidly. And it’s a global concern. There is no escape for anybody. It’s high time we need to give voice to activists, creatives, scientists, entrepreneurs, foundations, so they could step in and take actions. 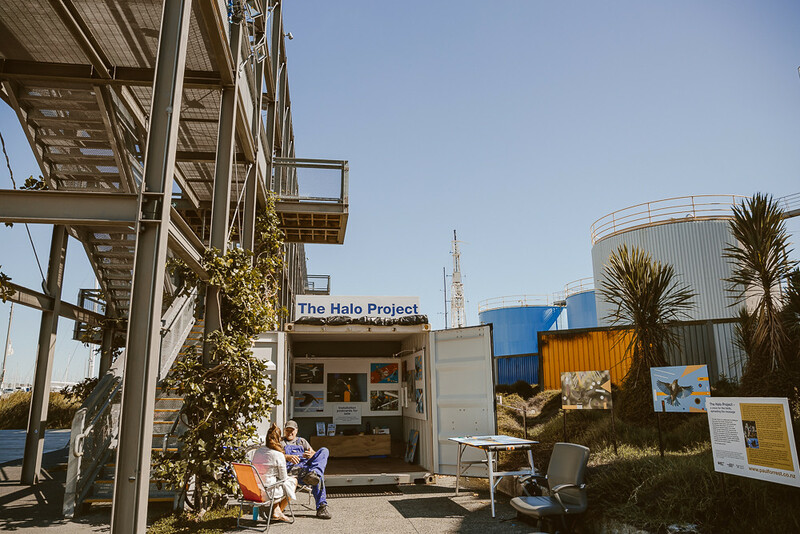 Like Phil McCabe, a kiwi eco-activist and an Owner of Solscape, who keeps pushing and fights against Seabed Mining in New Zealand. 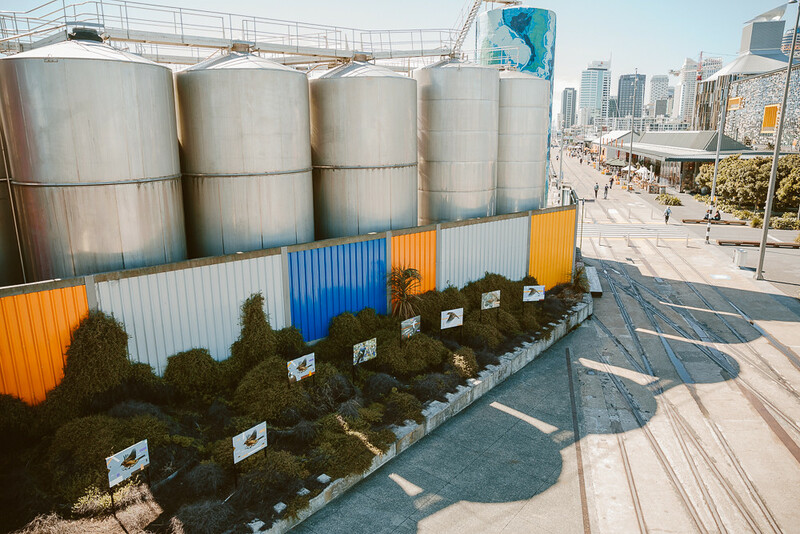 Like Sustainable Coastlines that protect the oceans, educate the youth on oceanic problems and drive environmental initiatives on an international level. Artists also have an unquestionable power to attract the public towards this or that issue. Hero of our story today, Paul Forrest is one of them. He sees art not only as an ability to express himself creatively but being able to communicate very important messages that Paul wants the society to respond to. His focus at the moment is to protect the birdlife around New Zealand. 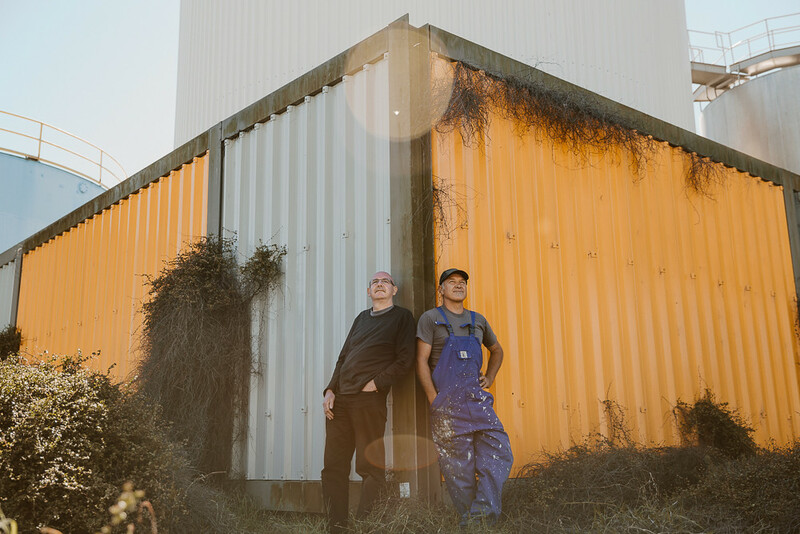 He is a self-taught professional artist, environmentalist, and educator. He is driven to make a change through his artworks and installations. To achieve that Paul needs to engage various audiences and start a conversation with those people who usually not come across the modern art. 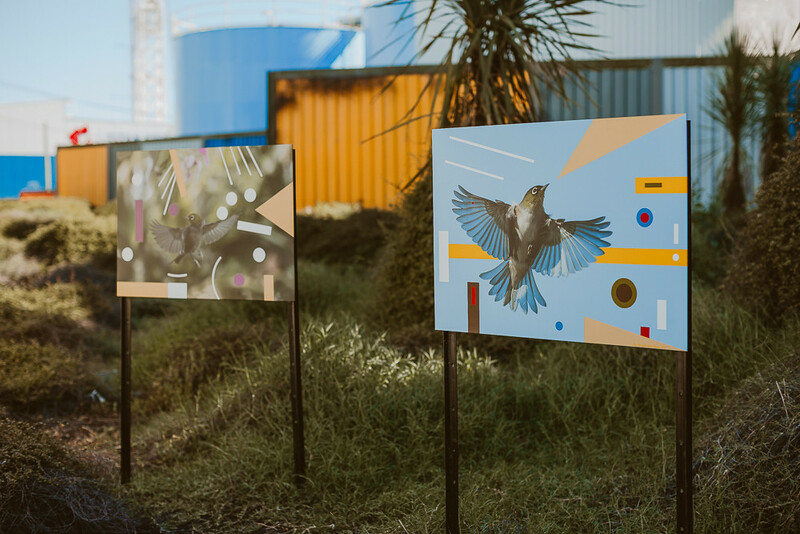 Choosing public spaces to display his artwork definitely pays off. 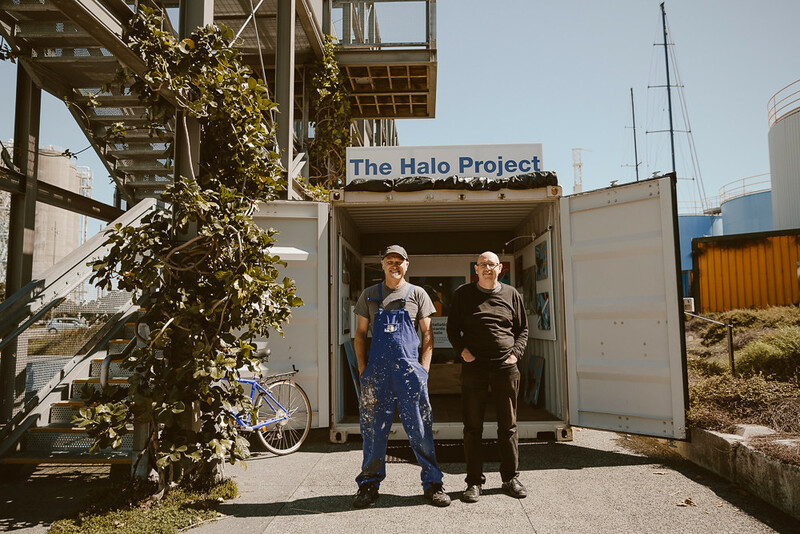 His latest multi-layered collaboration with Derek Tearne, a wildlife photographer, and Matu Booth, a sound designer, is called The Halo Project had found a temporary homestay in the container down at the Silo Park during Auckland Arts Festival 2017. That’s when we had a chance to meet and talk to Paul Forrest about his interactive environmental project that aims to promote the value of conservation and restoration of bird and plant life in New Zealand. 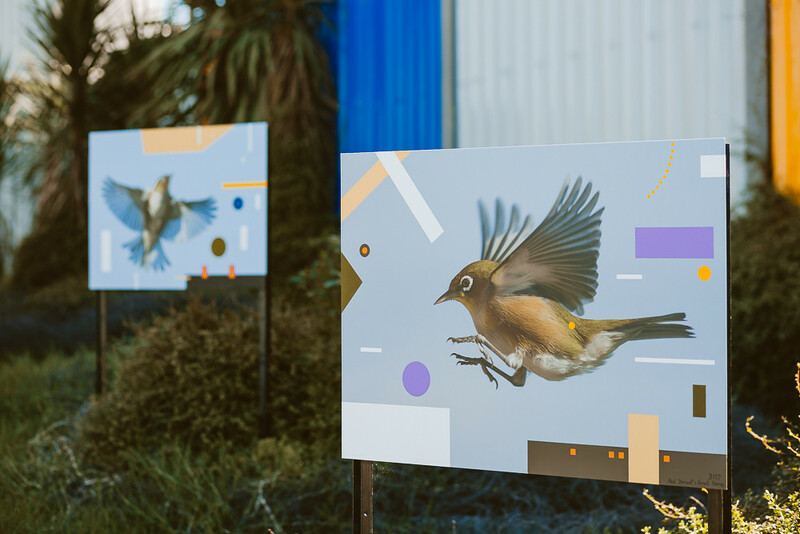 The Halo Project represents a series of colourful artworks that appear to be the art fusion between the bird photography and a painting. The original magic moment is captured through Derek’s photo lens: we see various birds flying, fighting or playing up in the air. By using the unique artistic style that adds structure, composition and a sensation of life it’s up to Paul Forrest what is going to happen with a photograph. The creative process is not hidden from a public eye. On contrary, everyone is welcome to join, watch the master working on the artwork and ask questions. And this is only the basic level of establishing the contact with the audience. An artist aspires to take those relations further that would imply a certain eco-activist action. 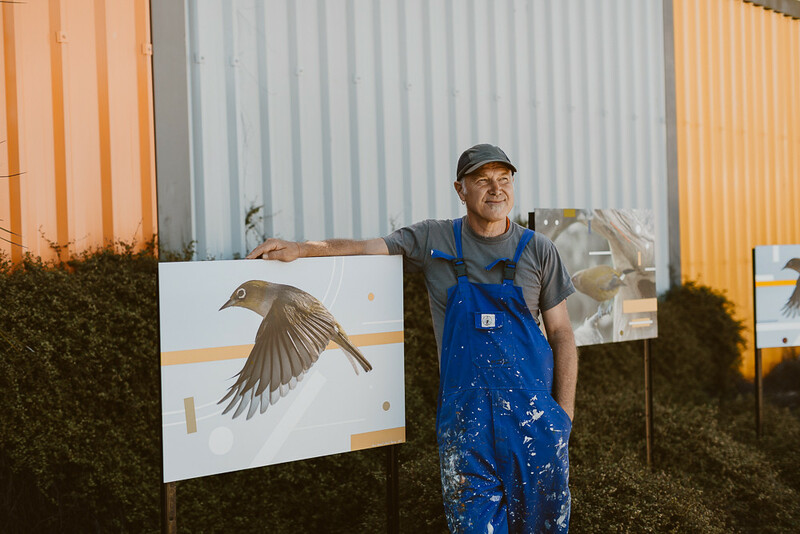 Enjoy highlights from a new story about Paul Forrest, an eco-activist from Wellington, NZ who does what he preaches and proves that it’s never too late to follow your passion, your heart and learn something new. Facebook is like an online radio station with pictures. It also helps me feel connected with reaching out to my audience, as mostly I am in my studio. I am not the type who shares their private life via Facebook. There is already enough information without my updates about what I had for dinner last night. When I was in my 20s I had a job selling puppets on the streets of London. They were really well-made and it was my first experience of being a salesman. But I believed in it, in the product, in the quality and fortunately, I made lots of money as well. This enabled me as a young emerging artist to travel and experience the world. Now as a self-representing artist I survive because I utterly believe in what I am doing, I am proud of what I am doing. I’m an eco-activist. A healthy natural environment is at the top of my priority list. I am always talking about it. Sometimes I get a little bit overwhelmed by the state of the planet but I have to keep on coming back to an understanding of what I can do to make a difference. About three years ago I shifted my perception how I can use my art. I shifted my focus from seeing my creations as a commodity and vehicle for self-expression and moved it into the bigger picture. I started to explore and question myself: what do I really want to say? What is important to me? And that’s why I am centering myself around environmental issues at the moment. However, it doesn’t mean that it’s the only area of my interest. I will explore other areas as well but right now I’m using my creative expression as a vehicle to stimulate conversation about the absolute importance of a healthy natural environment. 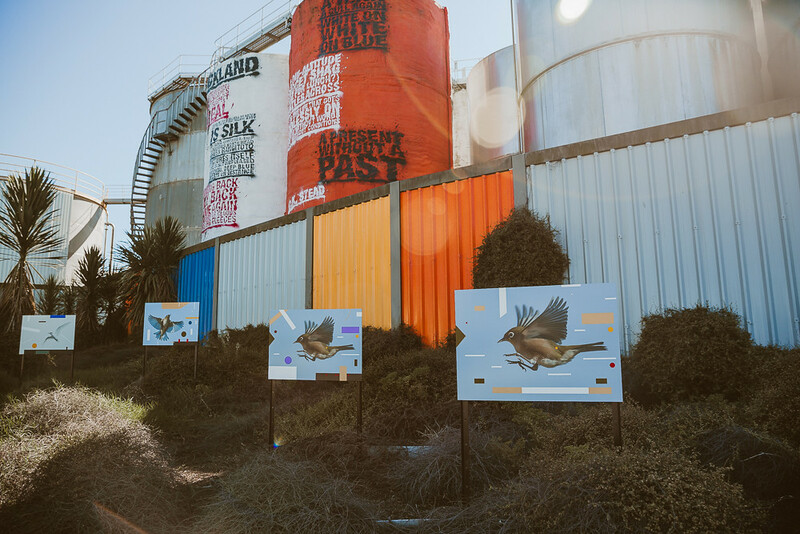 This is centered around doing everything we can to look after our native birdlife because if the native birdlife is healthy then the land is healthy. When I am working in public I am exposed to all sorts of people. Some of them share similar views, while other opinions I find shocking. For example, some people’s racism and how they put people of other races down and generalise about this or that nationality. It is always a challenge for me just to listen to them and not come down heavy on them. So what I try to do is to find places of common interest and start the conversation from there, focusing on the more positive achievable changes that I can make. Working with people and sharing my art in an open space requires a lot of diplomacy. I feel like the contemporary art is one of the portals to that part of the brain that encourages one to think outside the square. Art inspires your imagination. It doesn’t matter what you study at school – maths, science, Japanese, you still need to solve problems and use that part of your brain That’s why I am quite passionate about engaging children into my creative process. Every child that engages with The Halo Project receives a free postcard in exchange for a simple but meaningful experience – I ask for their name, look them in the eye, ask them to go out and plant a tree for the birds and finally shake hands to seal the deal. I also make sure that the parents witness us making this deal. Thus, the Halo spreads out further from hundreds of children going out and planting trees and through my art help make the planet healthier for the birds. A lot of people are intimidated by art, as they don’t want to seem to be ignorant and say that they don’t understand it. But there are other people out there too. There was an old woman who once arrived with her grandchildren. She didn’t understand my sort of art, all those lines and dots. My explanation of the creative process made her excited and together we shared a moment of epiphany.She learnt something new in her advanced years and then became open to the awareness that there are many ways of seeing art. My style of work – uses lots of dots and lines. By doing this I am manipulating the eye but also I am putting this or that element in its place for a certain reason. Each element is driven by my conscious decision – I want to create a painting that makes people feel good. A little bit similar to an icon painting that takes the viewer into a certain mindset so they can relax. Everything is in its right place. You can stop and just be. Some objects of modern art are intended to change your perception or open up something new. Like a cow being cut into halves and floating in a tank, so you can see both – inside and outside of the cow, which looks gross, I agree! But that somehow makes me reflect on how we as humans are built up – on the surface we all have that beautiful skin and appearance, while inside it’s just bones and guts and we are all the same. What artist activists do you admire? Banksy is a great communicator. He really has mastered the art of how to get a message across. Some people look at my artworks and say I can design those in Photoshop. However, I am a painter, that’s what I do. There is something more courageous in the way I am doing it, as I am making the mark and there is no way back compared to the work you can create on a computer. There is something for me about being in the zone and communing with the photograph and the photograph telling me what to do. Mixing the colours by hand, the outcome of it – that’s where the magic is for me. My father was an architect, from the age of 12 I knew how to design a house, I knew a lot about compositional structure and perspective. I still use the same compass set that I was given to me by my dad when I was ten years old, everyday. If there is skill that I could say I was born with, I would say that it is the ability to reproduce any colour that I see. So I love colour. And lines as a reproduction of perspective, and I do like the the structural make-up of composition. Incorporating these different elements as well as being out in public and communicating with people works well for getting my message across. My ego has been massaged and smoothed out like a rough stone by various sorts of feedback – someone dislikes my work, while others hugely like it, so it teaches me not to be caught up by what other people think of my art. However, I still do have my ego and as long as it is lovely to get encouragement, at the same time it is also healthy to question what I am doing and why. I like to make people feel good. I am also a good massage therapist and cook. What inspires me in life? Reminding myself of my own mortality. Life is short, there are no guarantees that I am going to be here tomorrow. I have been exposed to death enough in my life to know that my time here is to simply be in the moment and make most of it. My first wife died because of leukemia, she was in remission when we met, so we both knew what was ahead of us. One of my purposes for being in a relationship with her was to help her to die well and what she had to offer me was to help me live well. I focus each day to live fully as a responsible human sharing this planet. Check out Paul Forrest website or follow him on Facebook.